This month’s Glossybox is the BEST ONE YET, in my honest opinion. 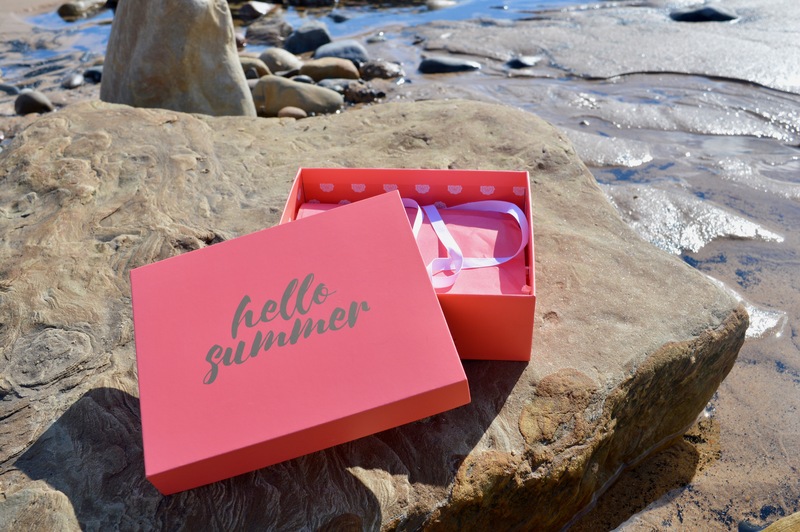 This month we’re saying Hello Summer with a switch in colour to the traditional pink Glossybox and hello to the bright coral colour. Glossyboxes are undoubtedly one of my most favourite deliveries each month! This month though sees a box you don’t want to miss out on (you can get it for just £5 here) and comes with over £50 worth of beauty treats. Let’s get to business because I am so excited to show you this month’s box! If you are Instagram obsessed like I am you’ll have heard of the Spectrum sisters, if not, where have you been? Their makeup brushes are the reason many of us upped our Instagram game with these flat lay essentials. 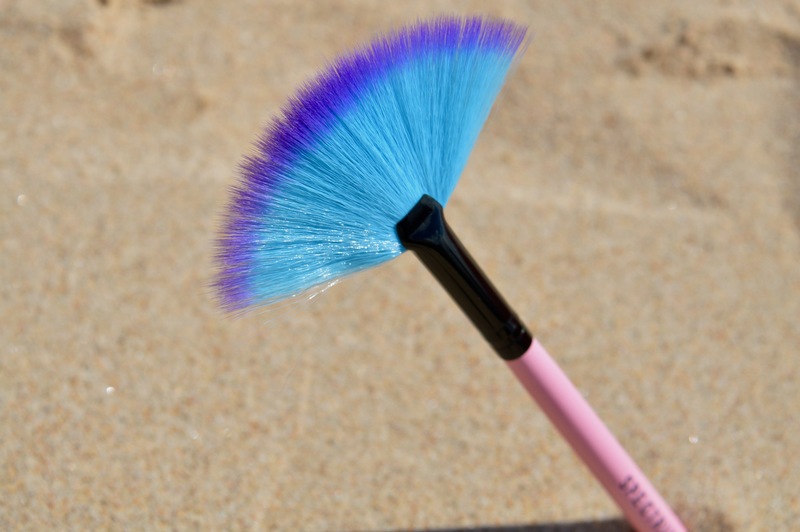 The gorgeous mermaid looking brushes are the most beautiful looking premium cruelty-free synthetic bristles in a soft powder blue with purple tips and a chunky pink handle. This month’s Glossybox sees the A10 Small Fan (RRP £4.99) which is on of Spectrum’s best sellers and is perfect for applying setting powder or highlighter. Simply brush over a loose highlighter then dust in a sweeping motion across cheek bones or use it for the next product in this month’s box. Which is, the Bella Pierre Banana Setting Powder. These two items combined are my hero products of the box. With a RRP of £25, this full sized product has become a rising star as of late after the YouTube sensation of baking your makeup. If you’re new to the baking technique all you do is let the finishing powder sit on your face for 5-10 minutes so that the heat from your face sets your foundation before the powder is brushed off using your new Spectrum Brush. 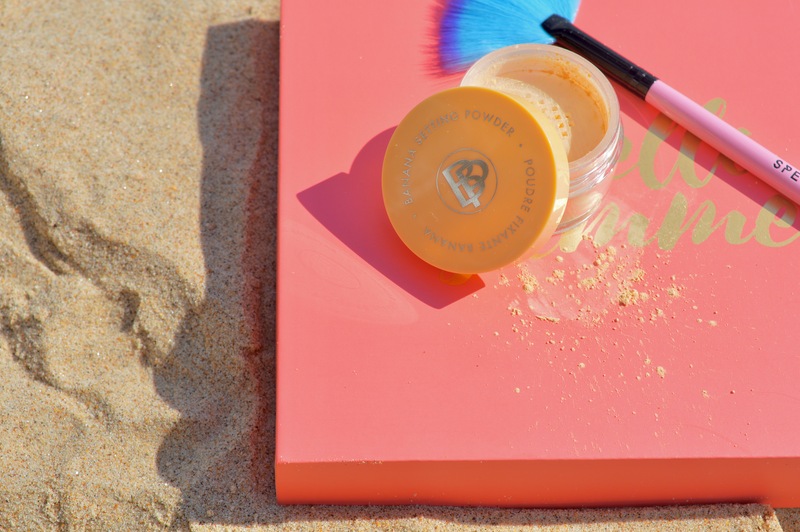 Banana setting powder has a yellow hue which counteracts redness, hides blemishes and dark circles in pale skin tones like line and then also creates fabulous highlights against olive and dark skin tones. The next product out of the box, Papanga Spiral Hairbands (RRP £4.99). I swear by these kinds of hair ties now, I cannot for the life of me use regular bobbles now and always have to use spiral hairbands. They’re great for, in the pool, they don’t snap or fray your hair and the best thing, they don’t tangle like a traditional bobble. I love these bobbles and they’re an ultimate Summer essential in my opinion. This month’s Glossybox treats you to two in the pack. Another essential for holidays especially if you have horrendous Ginger skin that burns like mine is after sun. 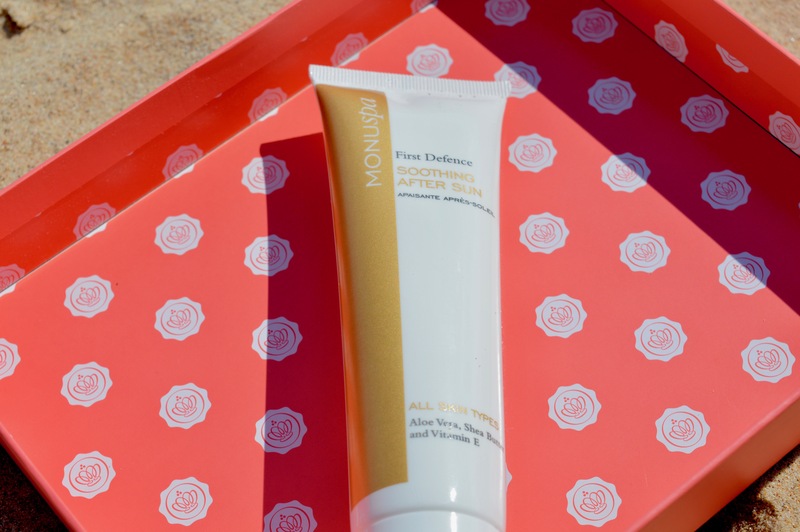 The MONUspa Soothing After Sun Lotion combines Aloe Vera, Vitamin E and Shea Butter to help cool, hydrate and help calmed a sunned-out skin. This lotion has a light refreshing Summer scent that will let your holiday memories linger. This 100ml size is great for throwing in your hand luggage for a weekend away with the girls. 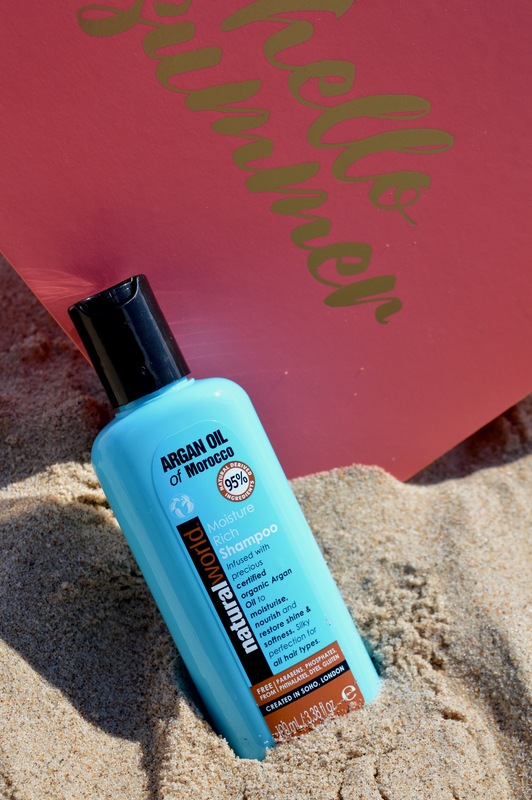 The final product in the Hello Summer box is Natural World’s Argan Oil of Morocco Moisture Rich Shampoo. Again a perfect hand luggage airport security sized bottle. Argan Oil is one of my favourite go-to products for the Summer as the mixture of heat and chlorine often leaves my hair looking limp and lifeless. This 100ml bottle will transport your hair to salon looking as it hydrates and adds that lustre back into it with the uplifting blend of essential oils. For full sized bottles of this London-based shampoo, they retail at £6. Like I said this month is undoubtedly my favourite Glossybox thus far and has me really excited for the Summer ahead. Is it too early to pack my case? 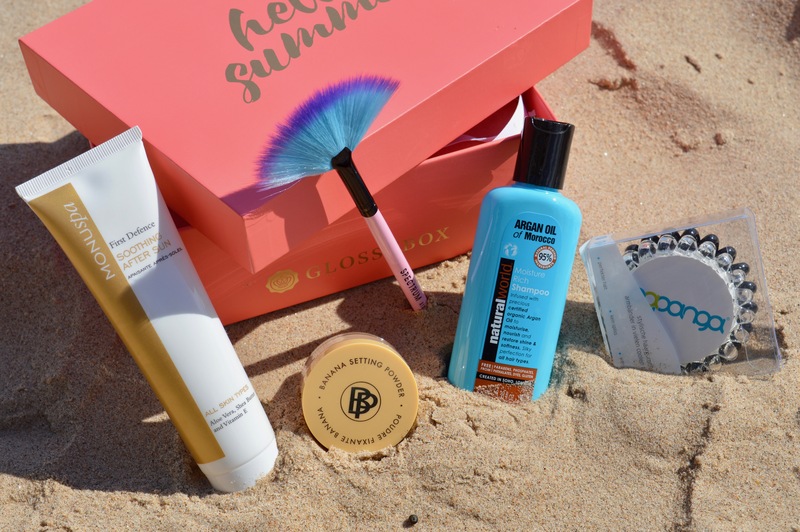 This month Glossybox is offering their Hello Summer box for £5 instead of £10 where you’ll receive over £50 worth of products. Click here to redeem the offer. I always go back and forth when it comes to Glossybox. I’ve had some really gorgeous boxes and some dreadful ones. But I guess that goes for all sub boxes to be fair. well, especially beauty boxes. I swear by those bobbles too! 😀 Couldn’t go back to using ordinary hair bands now.